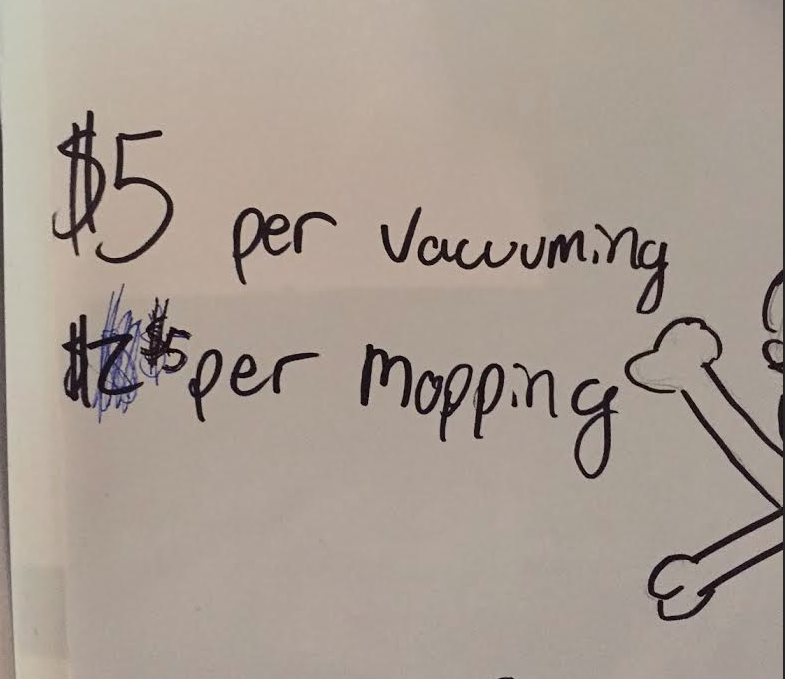 Is It Bad Parenting If I Post a Negative YELP Review on My 11-Year-Old’s New Cleaning Business? I’ll admit it. I hate vacuuming. I love the end result, but it’s the journey I object to. I don’t even care if it’s done in the diamond-shaped pattern. I just love it clean. Enter, stage left, my enterprising son Jack, now on summer break. I hate vacuuming enough to pay him $5 a week to do it for me. He even includes the stairs! Yesterday, the enterprising Master Jack launched his latest get-rich-quick scheme. He’s trying to earn money for his new paintball gun, which I have deemed a “non-essential item” (cue up the voice of Comic Book Guy from The Simpsons when you say that in your head) not covered on my list of parental obligatory expenses. An Azodin Kaos, to be exact. 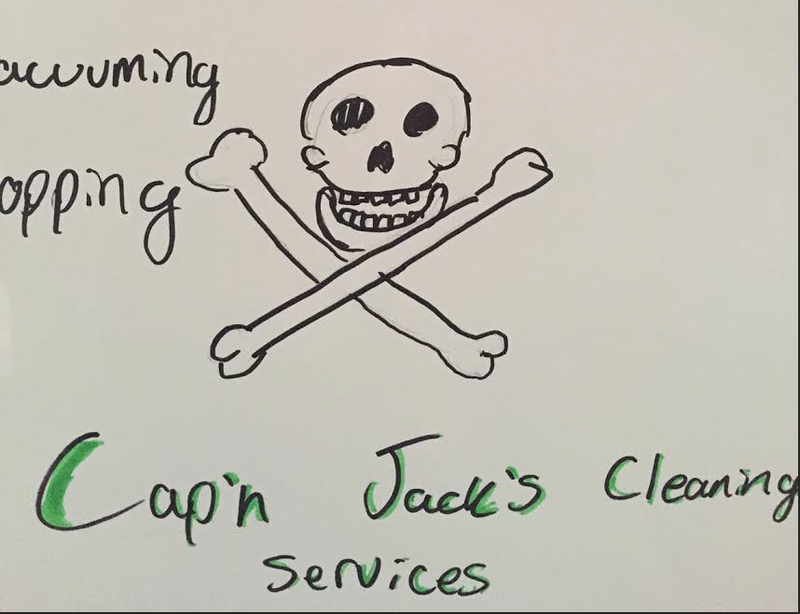 So Jack decided he’s now in the housecleaning business. He offered to mop my wooden floors. It was a mere $2.00 up charge. SOLD! He created his business name and a sell sheet, which he proudly posted on our refrigerator (I hate stainless steel refrigerators; I need mine magnetic since I use it as this hectic household’s visual command center). This logo screams “Pest Control,” no? But in the midst of his Swiffer slopping, er, mopping efforts, he pivoted, ceasing further progress. 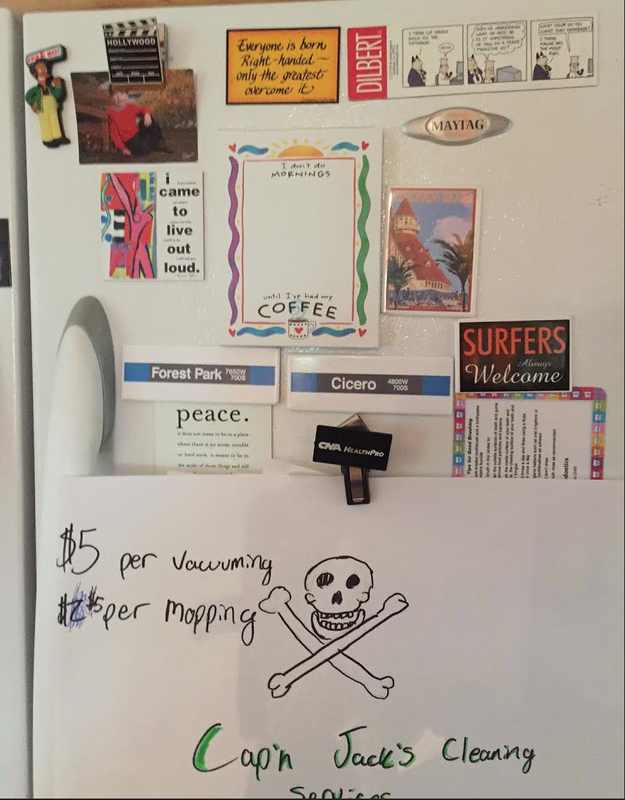 He grabbed a Sharpie, raced over to the refrigerator, took down his ransom note-like sell sheet and raised his pricing to $5! He more than doubled it! The cajones on that kid! With righteous indignation, he announced he was “finished” with the kitchen. It took no white glove inspection to discover that many areas were completely neglected. Ignored might be the better term. Corners, the perimeters, huge swaths of flooring, and then the entire area beneath the kitchen table bypassed the purview of his Swiffer. One would almost have to try to be that bad at mopping. That sell sheet is taking up a lot of real estate better served by my magnet menagerie. At that precise moment, my BFF Marovich called. She suggested a bad YELP review might get him in line. I agreed. I added Angie’s List and HomeImprovement.com. Perhaps a Better Business Bureau complaint while I’m at it. The cherry on top. But two can play this game. I’m compiling my own list of fees. Trips to the orthodontist because he lost his bands again? $10. Trips to his friends’ houses? $15 (round trip, naturally–I’m not totally heartless). Every squeeze of toothpaste? .50 cents. In no time, I will have recouped my housekeeping fees. Maybe then I can afford to hire a real professional again. (Our house misses you, Judy!) I hate to dash Jack’s little entrepreneurial spirit, but didn’t Thomas Edison once say something about learning from one’s failures? Cloud, meet silver lining. One down, many careers to go. Posted on June 23, 2016 by DaveandDeniseDorman	• This entry was posted in Comic Book Wife, Mommy Blogger, Parenting and tagged Angie's List, Azodin Kaos, Better Business Bureau, Entpreneurism, Housecleaning, Housekeeping, Paintball, Parenting, Sharpie, Swiffer. Bookmark the permalink. Thanks for reading & being a kindred spirit!